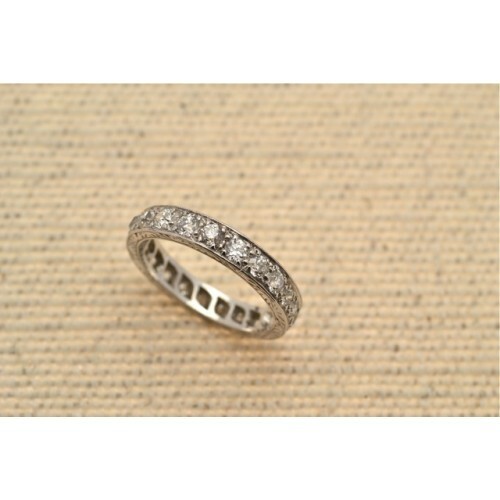 Diamond full banded eternity ring. 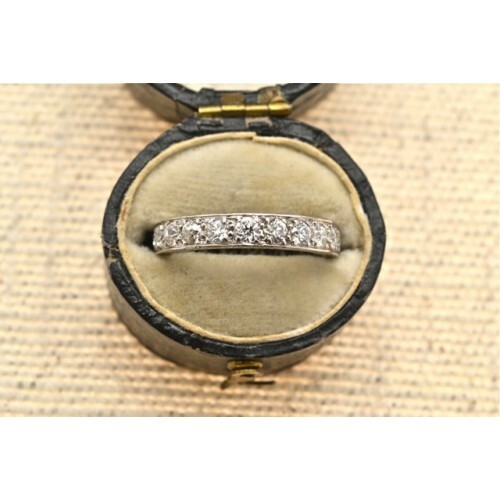 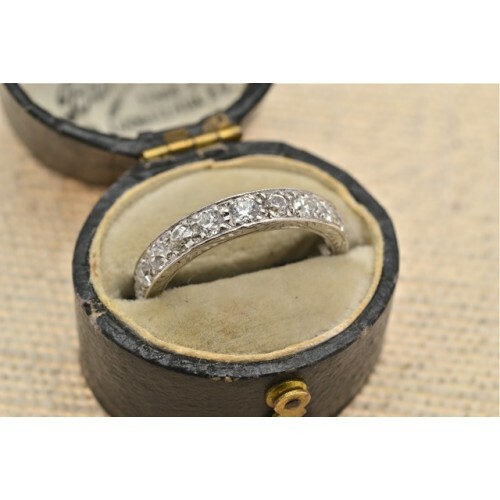 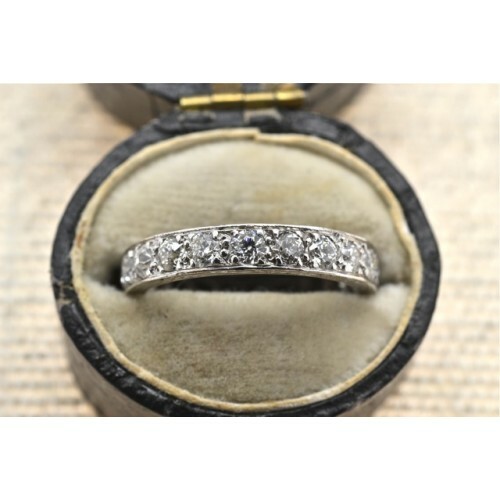 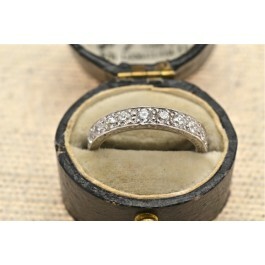 18ct white gold set diamond eternity ring, having twenty-two old round cut diamonds in a channel set with claws. 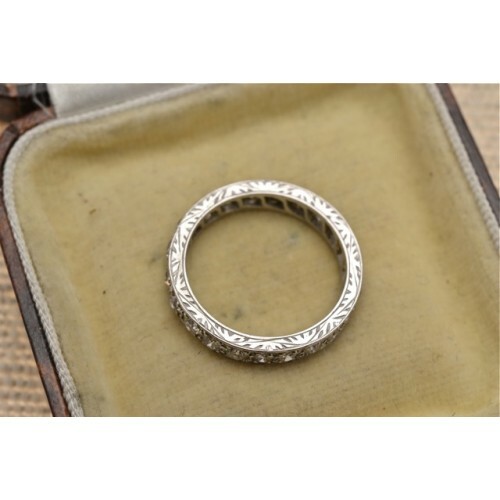 The outer walls of the band are hand engraved.